Every individual or business needs an identity about its personality or brand. Coming to business prospective, when we meet to clients, the first thing most of us do after handshake. We exchange our business card to the client. This is a common pratice that we do in workplace. 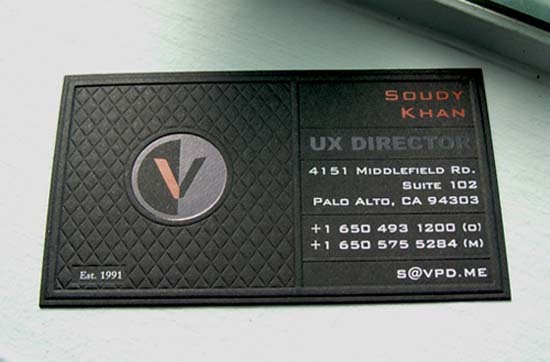 But you can do it extra touch to make your business card special in client’s mind. A Simple business cards would not work make special attention of your client. Keeping in mind of your business standards, budget, taste and other additional features on selecting busniess cards such as emboss, deboss, metal or letterpress that makes you stand apart from the peoples. 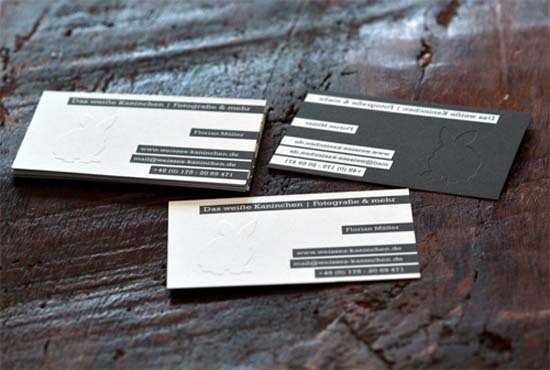 These business card design feature makes them more stylish and creative. In this showcases , we will show another embossed category of business card. Hopefully, you will enjoy this unique business cards and share your views on comments. It is very good & nice design, this very awesome collection, thanks for sharing nice collection. Awesome collection and really good cards design!